George Jones was born on 12 September, 1931, in Saratoga, Texas. He is perhaps less well known outside the USA—I was really only aware of his mid-sixties hit "The Race Is On"—but he enjoyed a long and successful career in C&W music in the USA, with the associated ups and down in both his professional and his private life. His recording career began in 1954 with Starday Records, but in 1962 he moved to United Artists and immediately recorded his original version of "She Thinks I Still Care" on 4 January, 1962. 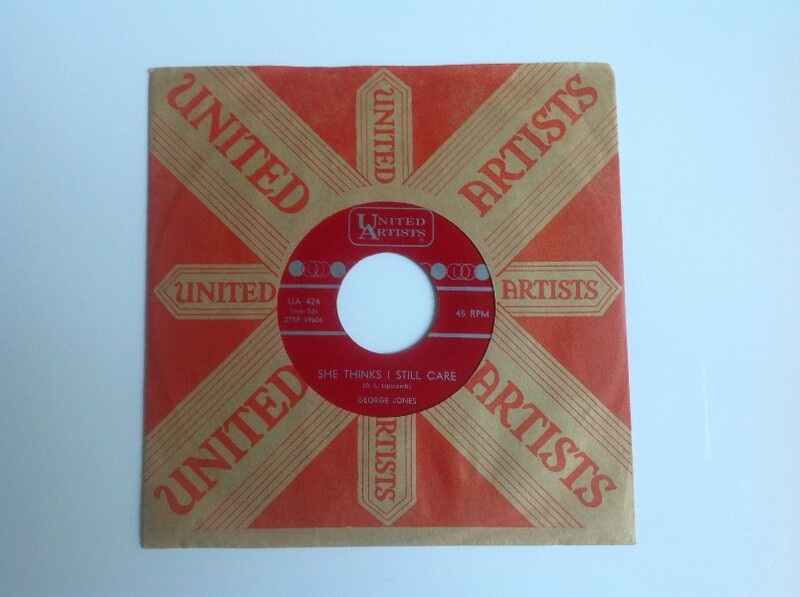 The number was released as a single on United Artists 424 in February, 1962, and became one of the biggest hits of Jones's career. George Jones died on 26 April, 2013.